Staff photo by Doug Strickland / Richard Trethewey of the television show This Old House speaks at the 2018 HomeServe Contractor Conference at The Chattanoogan Hotel on Thursday, Sept. 6, 2018, in Chattanooga, Tenn. Trethewey spoke about the need to attract millennials and the next generation to contractor work. With about 5 million building trades jobs unfilled nationwide, one of the stars of the This Old House home improvement TV show on Thursday offered a simple solution. "Find the brightest kids and get to them before the guidance counselors do," said Richard Trethewey in Chattanooga. Trethewey, a veteran of the longtime show that airs on PBS, said at a meeting with a group of contractors for HomeServe USA that the counselors' success rates are based on college placement. "If someone said 'What's the best thing for the kids?' there might be another decision," he said. Trethewey said another solution to fill the jobs is to not overlook people transitioning out of military service. 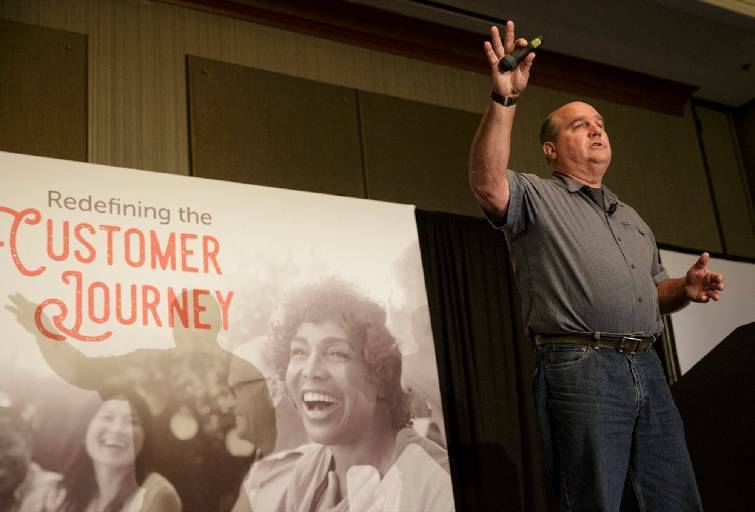 "Go to the VA and ask who's back looking for a new career," he told the nearly 50 contractors at the conference put on by HomeServe, which provides homeowners with monthly plans to cover major household repairs. Eric Thorkilsen, chief executive officer for This Old House Ventures, said that for every five professional contractors who retire, roughly only two new ones are coming into the field. "The bucket isn't being filled anywhere near where it's emptying," he said. Schools typically have stopped offering shop classes and there isn't such training anymore, Thorkilsen said. "It may not be for everybody, but for those who enjoy working with their hands and get satisfaction from it, there are jobs out there immediately available," he said. "They're well paid and the satisfaction of the work is off the charts." John Kitzie, HomeServe USA's chief executive officer, said company officials meet annually with its top contractors to stay connected to them. "They're such an important part of what we do," he said about Connecticut-based HomeServe which has about 350 people working in Chattanooga at a new $5.5 million center it built off Lee Highway. Kitzie said the contractors' worker shortage is real. "It's the No. 1 concern I hear from contractors," he said. 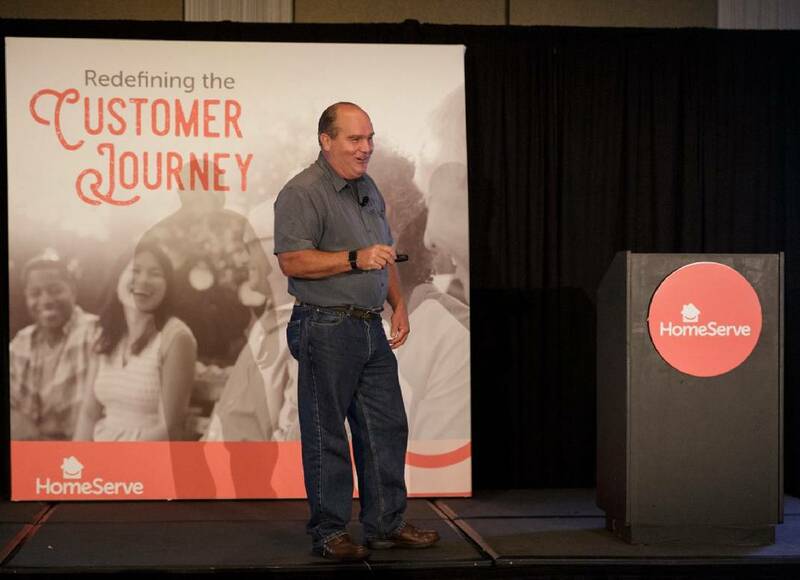 As HomeServe continues to grow, its contractors need more qualified technicians, the CEO said. "We try to bring people into the trades and help contractors get the best talent so they can grow with us," said Kitzie, adding that HomeServe is working to fill up the new Chattanooga building that has a capacity of 450 employees. He said the company is rolling out a new veterans initiative. HomeServe is partnering with veterans organizations to help bring former servicemen and women into the skilled trades field and hook them up with its contractors, Kitzie said. Elsi Matamoras, owner of ACE Mechanical in New Jersey and a HomeServe contractor for four years, said it's hard to find young people who want to enter the field. "They feel like it's a dirty business and hard work," she said. "They want to be in the computer business and in an office. They're not motivated." Matamoras said they don't know they can own a business and make enough money to be independent. JoAnn Pena, the company's office manager, said more education of the opportunities is needed. "It's a lack of knowledge and they're not guided correctly," she said, noting they can graduate from trade school with no debt and make more than $50,000 annually. Thorkilsen said This Old House is supporting the mikeroweWORKS Foundation's Work Ethic Scholarship Program, which helps students training for the building trades.